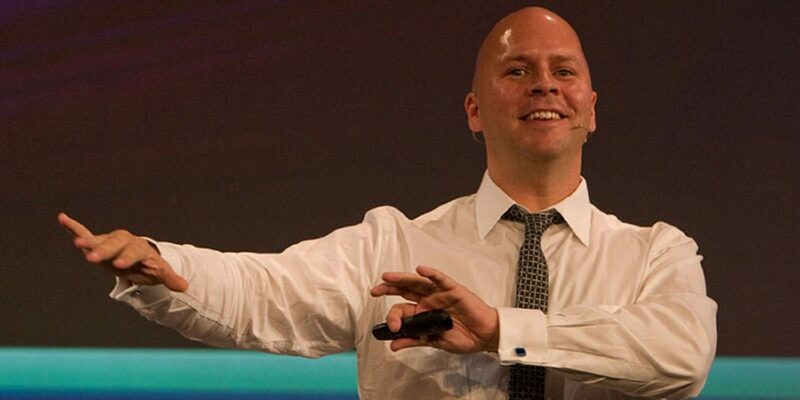 Usually great minds won’t settle for only one direction and this is true when we talk about Derek Sivers. This entrepreneur is founder of 3 big startup names: CD Baby, MuckWork and Wood Egg. But who is Derek Sivers and what was his path on his way of turning into a big name? Continue reading if you want to know the answer. Derek Sivers born in 1969 in USA. He usually don’t give much information about his childhood to the media but from what we know, it’s obvious that he had huge love for music. He was a professional musician until 1987 and that experience led him into the road that turned an ordinary man into a legend. He had many jobs and this fact helped him to understand his surrounding world better than most of people at his age. He used to be a clown at circus and kept this sense of humor in all aspects of his life. But nowadays he is more known as a ted talker, an entrepreneur and an author. Back in 1998, our world was a totally different one. We had internet but a dialup one, we had music but on cassettes and compact discs. Derek Sivers new the struggle of new comers in the world of music and using a new trend called internet, he started a new business in 1998 called CDbaby. CDbaby was a website with the purpose of selling CD and vinyl to online customers. But at the same time, Derek Sivers made some specific facilities which could make it easier for newcomers to publish their music album. This support made a lot of independent musicians to bloom and we can say that CDbaby changed the music culture back in late 90 and early 2000. As the matter of fact, idea behind CDbaby was a gateway in which Derek Sivers was able to sell his own music to customers but later on this website turned into a haven for independent musicians. Sivers showed everyone that money is not everything. He transferred ownership of his CDbaby to Charitable remainder unitrust. He agreed to receive only 5% of the sale which was calculated a little more than 1 million, this money would go to Sivers until he dies and after that, same annual amount will be used for charity. In 2008 he started his new project called MuckWork. This new company was all about what Sivers called it helping musicians with their uncreative dirty work. Later on he started another major startup called Wood Egg. This startup was focused on guidelines for people who wanted to establish a new company. Wood Egg did not target European giants and was more focused on growing markets such as India, Singapore, Malaysia, etc and some eastern giants such as japan and South Korea. Derek Sivers has a huge fortune but lives a fairly simple life in New Zealand. His way of being an entrepreneur can be a great example for people who want to start their business and his startup view was also a great role model for many of startups.